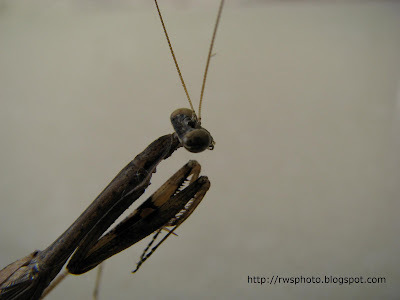 Photo of brown praying mantis. 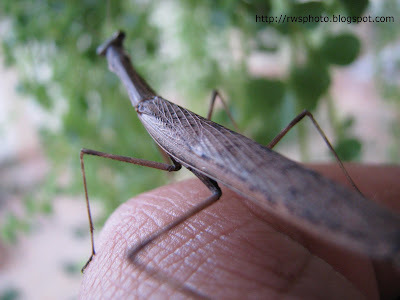 Common praying mantis that I came across are usually green mantis. 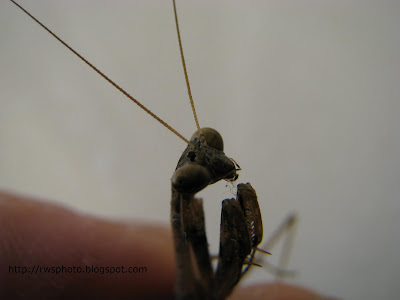 The mantis below is probably the Chinese mantis (Tenodera sinensis). Mantodea or mantises is an order of insects that contains approximately 2,200 species in 9 families worldwide in temperate and tropical habitats. Most of the species are in the family Mantidae. 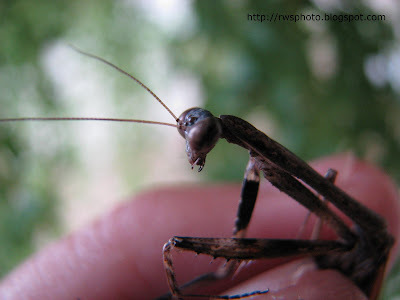 Historically, the term "mantid" was used to refer to any member of the order because for most of the past century, only one family was recognized within the order; technically, however, the term only refers to this one family, meaning the species in the other eight recently-established families are not mantids, by definition (i.e., they are empusids, or hymenopodids, etc. 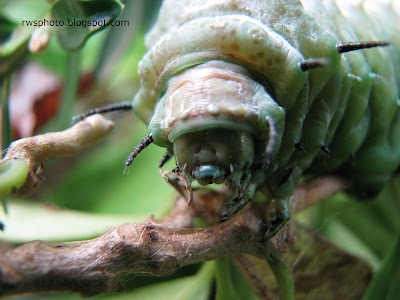 ), and the term "mantises" should be used when referring to the entire order. A colloquial name for the order is "praying mantises", because of the typical "prayer-like" stance, although the term is often misspelled as "preying mantis" since mantises are predatory. In Europe, the name "praying mantis" refers to Mantis religiosa. The closest relatives of mantises are the orders Isoptera (termites) and Blattodea (cockroaches), and these three groups together are sometimes ranked as an order rather than a superorder. 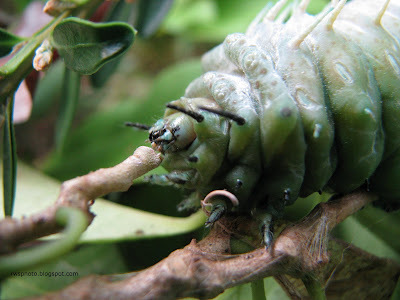 They are sometimes confused with phasmids (stick/leaf insects) and other elongated insects such as grasshoppers and crickets. 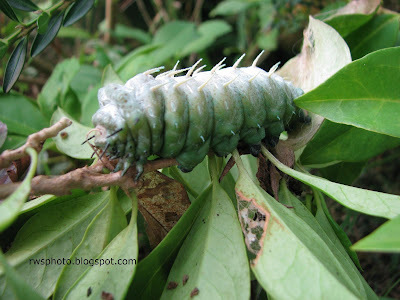 A close up photo of a giant tropical caterpillar. 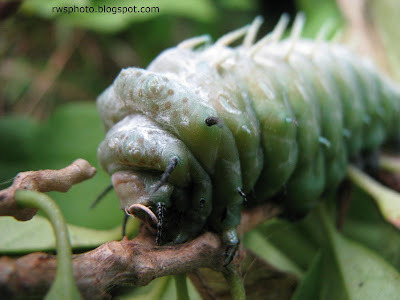 I short of calling it fat caterpillar. Photo shot at Jalan Stakan, Kuching. This photo is the 18th series on caterpillar. 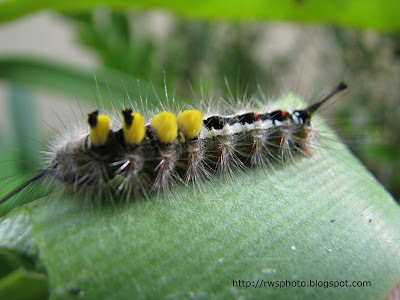 This subject is furry with lumps of yellow brushes (yellow markers) on its body. 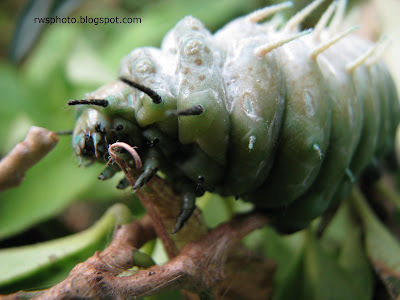 This could be the Tussock Moth larvae. 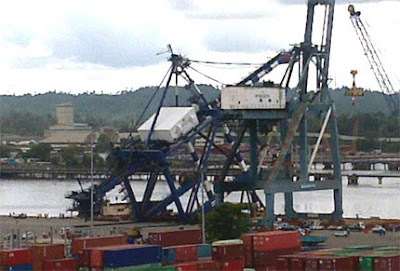 Photo of a newly acquired Quay Crane buckled under its own weight in an accident at Bintulu Port. 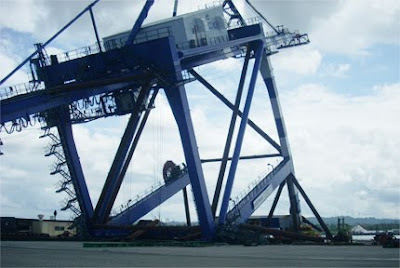 The RM21 million quay crane was supplied by peninsular based company IMPSA (M) Sdn. Bhd and about to be transported from a barge to Berth No.4 when it suddenly collapsed around 10.30a.m on Thursday. The lower part of the crane structure was badly damaged in the incident. No injuries were reported in the mishap and operation on Berth No.4 will be temporarily closed according to the port authority in a statement on Thursday. Baby Anacondas spotted in Asia, Melaka Zoo that is. 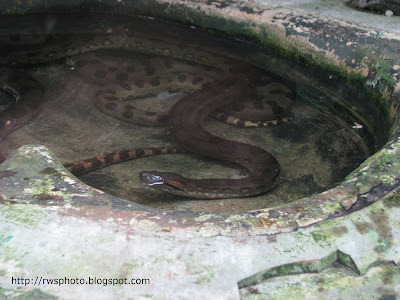 I wonder how Melaka Zoo will handled the Anacondas when they matured into a giant snake. Anacondas are large, non-venomous boas found in tropical South America. Although the name actually applies to a group of snakes, it is often used to refer only to one species in particular, the green anaconda, Eunectes murinus, which is one of the largest snakes in the world, and (together with the reticulated python of southeast Asia) arguably the longest. 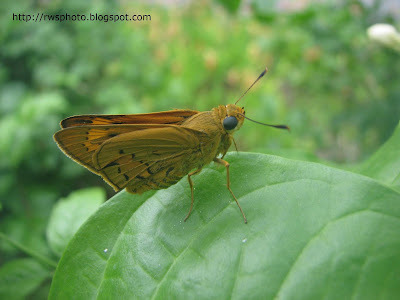 Close-up photo of a Light Brown Moth. Look like a light brown apple moth. Moth photo taken in the street of Melaka town before my camera's batteries drain out.